Why is Amarone della Valpolicella so special? First of all, it’s sort of scarce. And it is difficult to make. 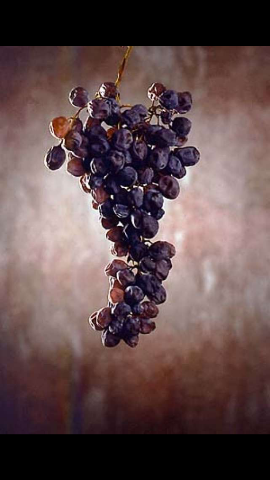 The Corvina and Corvinone grapes make up the majority of the blend used in making Amarone. Add Molinara for acidity and Rondinella for soft tannins. Aromas vary by grape variety-from tobacco to black pepper. Together, these varietals, plus appropriate aging, by law, four years for Reserva and two years for Valpolicella DOCG and Recioto della Valpolicella DOCG, are some of the reasons why these wines are like none others. Verona is my favorite city in the whole world. Not sure why, but, that’s reality. Maybe it’s the pink marble or maybe it’s the wine. Or maybe its Restaurant Greppia, my personal favorite. Who knows? When you travel in pursuit of Valpolicella, there are three sub-regions in Veneto that accommodate the wine lover. Est (means east) and contains four valleys and seven destinations. Valpantena has three designations and Classico has six designations in three valleys. Having visited the region on several occasions, but, never during the harvest, I have learned that the grapes are hand-harvested and laid out on straw mats for a minimum of four months to turn into the prime grapes for Amarone della Valpolicella DOCG. Then, the grapes are pressed. Fermentation can last up to two months, thanks to low temperature fermentation. 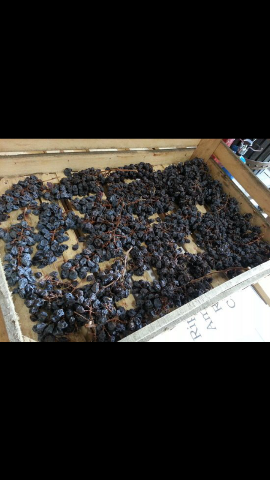 The wine is then transferred to chestnut or oak barrels to age, following the laws of the region. Amarone is scarce. There are only 12,000 acres that satisfy the region for Amarone. That is where the Corvina and Corvinone grapes thrive. Interviewing several winemakers, the Corvina grape is their favorite varietal. It may be because the other grape they love is Corvinone. Unfortunately, the grape is rare, making Corvina their first choice. At a recent Anteprima Amarone tasting, I sampled a 1950 Amarone that was as fresh and acidic as a wine of that age could be. The true flavor profile of Amarone existed, sixty-eight years later-fig, sweet chocolate and vanilla bean. 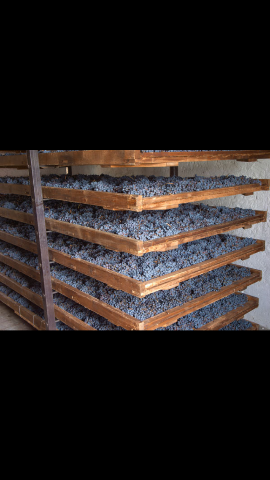 Amarone goes through a different process of aging versus other wines. The final palate flavor resonates with me. Few wines are made the same way-grapes are dried for four months, then the grapes are slowly pressed and then fermented for sixty days. These are just a few reasons why I believe Valpolicella is like no other wine.